A Greenfield service provider is a provider starting from scratch and building a network for a new service. The Colors Green and Brown came from building developers- undeveloped land is described as Greenfield and previously developed is described as a Brownfield. What is a Greenfield Service Provider? In networking, a Greenfield service provider is one where the installation and configuration of its network are entirely new – where none existed before. A Brownfield deployment, in contrast, is an upgrade or addition to an existing network and uses some legacy components. The Colors Green and Brown came from building developers- undeveloped land is described as Greenfield and previously developed is described as a Brownfield. A Greenfield service provider is a provider starting from scratch and building a network for a new service. Emerging markets are rolling out higher-speed 4G Networks, and new customers are connecting to the internet daily. The interest in social networks and other web apps is soaring, and it’s not only the Global mobile operators who are looking to benefit from this surge in consumer demand. The fixed-line and enterprise sectors are also increasing deployment of broadband and fiber networks. The introduction of IoT technology, investments in city WiFi networks and data centers, and even the introduction of SDN, NFV, and other cloud/virtualization technologies all bring new players to the market. In general, Africa’s Greenfield status can be a benefit to the launch of new services that utilize new technologies. For example, while in developed markets operators are struggling to integrate digital systems with legacy platforms that cannot quickly be adjusted, in Africa that is not the case. In developed markets operators are trying to slow down new investments, preferring to extend the use of existing legacy systems for as long as possible. Only a few African service providers face the same dilemma. In mobile money, as an example, African service providers are making bold and pioneering moves. A new Greenfield service provider cannot launch its operations without being able to offer all the services that customers are using and expecting to use. With licenses to new modern technologies (such as 4G), service providers are expected to provide their markets with everything 4G has to offer or else they won’t be able to penetrate the market. A new service provider in emerging markets must start with all the services and all the components required to support those services even if the ramp-up of subscribers will be slow and even if the total potential scale of the network subscribers is in the thousands and not in the millions. A new Greenfield service provider cannot offer voice services without messaging services and cannot provide messaging services without data services. They must have all the capabilities from the start. A new Greenfield service provider must be able to provision and bill for all the services they offer to business and private customers with both pre-paid and post-paid billing. 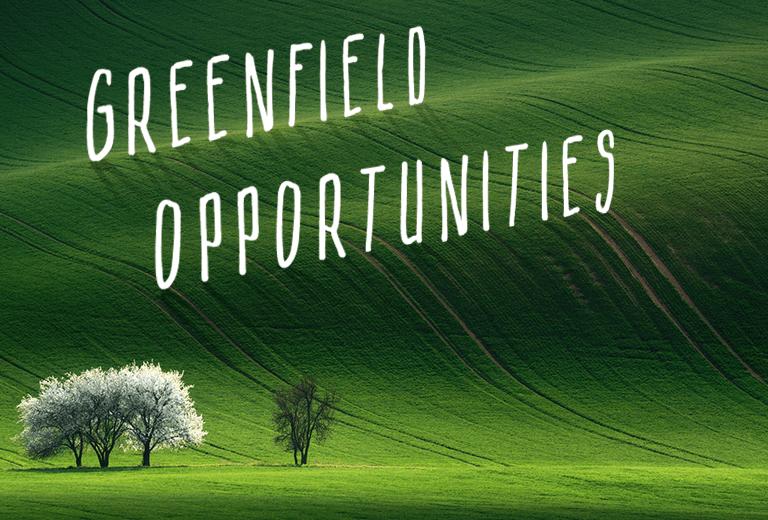 A new Greenfield service provider does not have legacy systems to build on, and it is now expected that they will offer a full cloud network solution. There must be a new modern startup way for service providers to start small, and yet start with all components – small is not slim. The Solution for launching a small Greenfield service provider that has all the services customers need. Unified platform for BSS at an affordable pay as you grow business model. Not only is this solution the practical way to launch a Greenfield operation it is also economically feasible. Working with the same technologies that internet giants use (Google, Amazon, Facebook) these new Greenfield service providers can achieve quick time to market and most important they can start making revenues fast. In the past, service providers invested millions of dollars to buy and deploy the BSS systems to support one or two services. Today, with this new pre-integrated pay as you grow model, service providers can launch new services with the best fitting business support systems that will allow for connecting the services, managing the clients, rating, and even billing for all these services. No longer do service providers have to connect customers free of charge to services they don’t know how to charge for yet. Agility – Service provider can launch services, pricing, and billing based on market conditions and changing priorities. Rating and Billing for all network services as well as the core network elements. All of these are pre-integrated and work seamlessly together. Our solutions are easy to learn, easy to implement and easy to integrate, thus ensuring fast time to market and a quick recoup on your investment. Our platform provides optimal vertical scale-ability and architecture flexible enough to deal with any new technology, protocol or business process. We like to call it our multi-tenant, online, offline, prepaid, postpaid, multi-channel, multi-payment, multi-hierarchy, multi-network BSS platform.